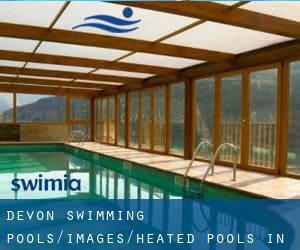 Thanks to some new Heated Pools in Devon submitted on a daily basis, Swimia.com is growing daily the number of stored pools. Please don't hesitate to contact us if you find any inaccurate or incomplete information and facts. Water sports are growing specifically in elderly population sectors who have suffered some type of muscle or bone damage. The finest Swimming Pools are located mainly in large cities but it's also prevalent to find public pools in rural areas. Are you on holiday and need to preserve fit and wholesome? 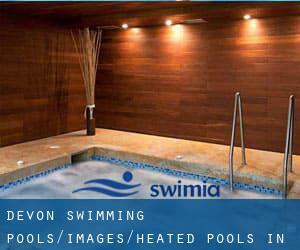 Swimia.com gives you the painless and quickest solution to find pool near Devon. There are normally discounts available to senior citizen and tiny youngsters. Find out by contacting your nearest pool in Devon. Please check the nearest Heated Pools in Devon or Contact us to ADD IT. It's free! Whereas Newton Abbot is among the six most populous cities in Devon with almost 25.789 residents, you shouldn't miss that one if you're going to Devon. Let us let you know a secret to switch off though you are in Tiverton: just choose a Swimming Pool in Tiverton and plunge into the water! There's no alot more effective process. Without a shadow of a doubt, swimming in Barnstaple will be the best solution to unwind following perform. Take a couple of minutes to browse Swimia's catalog to find a Pool in Barnstaple. It's difficult to visit Devon without having dropping by Bideford (with 16.624 residents). At present Swimia is showing you all of the Pool in Bideford and also the closest pools located in its vicinity. Holding an estimated population of 32.972, Exmouth is among the most important cities in Devon. Check all of the Swimming Pool in Exmouth and its surrounding area. Swimming is a fantastic idea to keep your body active in the course of your visit to Exeter (Devon), or perhaps if you are a local. Swimia helps you to locate your closest Pool in Exeter. Updated on 2019 School Lane , Torrington , England , UNITED KINGDOM (Postal Code: EX38 7AJ). Among all the activities offered by the center, for anyone who is interested in swimming you will appreciate 25 meters, 4 lanes, Indoors. Just in case you would like to contact this Swimming Pool prior to dropping by, we only know the phone number. Commercial Road , Crediton , England , UNITED KINGDOM (Postal Code: EX17 1ER). Among all of the activities offered by the center, if you are interested in swimming you will take pleasure in 25 meters, 4 lanes, Non-Chlorine Sanitized, Indoors. If you need to contact this Swimming Pool, e-mail address and phone number are both number. 1 Royal Avenue , Exmouth , England , UNITED KINGDOM (Postal Code: EX8 1EN). This sports center gives 25 meters, 6 lanes, 1 meters - 2 meters depth, 1 meters - 2 meters depth, Indoors. Contact facts for this Swimming Pool such as phone number and e-mail address are number. Sandy Lane , Dawlish , England , UNITED KINGDOM (Postal Code: EX7 0AF). This sports center offers 25 meters x 11.8 meters, 5 lanes, 1 meters - 2.2 meters depth, 1 meters - 2.2 meters depth, Indoors. Contact information for this Swimming Pool similar to phone number and email address are number. Beacon Lane , Exeter , England , UNITED KINGDOM (Postal Code: EX4 8LZ). This sports center offers 19 meters, Indoors. For this Pool, only phone number is number here. Ropewalk , Kingsbridge , England , UNITED KINGDOM (Postal Code: TQ7 1HH). Among all the activities provided by the center, if you are keen on swimming you can enjoy 25 meters x 12 meters, 5 lanes, 0.9 meters - 1.8 meters depth, 0.9 meters - 1.8 meters depth, Indoors. Just in case you need to get in touch with this Pool just before dropping by, we only know the phone number. Blachford Road , Ivybridge , England , UNITED KINGDOM (Postal Code: PL21 9HU). Among all the activities offered by the center, if you are interested in swimming you can appreciate 25 meters x 8 meters, 4 lanes, Indoors. Just in case you want to contact this Pool prior to dropping by, we only know the phone number. Updated on 2019 Churchill Lane , Northam , England , UNITED KINGDOM (Postal Code: EX39 1NS). Swimmers like you reported 25 meters, 5 lanes, Indoors. Unfortunately we do not have the e-mail address of this Swimming Pool, but we can provide you with the phone number. Updated on 2019 The Wharf , Tavistock , England , UNITED KINGDOM (Postal Code: PL19 8SP). This sports center delivers 25 meters x 10 meters, 4 lanes, 1.35 meters depth, 1.35 meters depth, Indoors. For this Pool, only phone number is number here. Updated on 2019 Well Park , Holsworthy , England , UNITED KINGDOM (Postal Code: EX22 6DH). Among all the activities provided by the center, if you are considering swimming you are going to take pleasure in 25 meters x 8.5 meters, 4 lanes, Indoors. Just in case you want to contact this Pool before dropping by, we only know the phone number. Among all of the activities supplied by the center, when you are considering swimming you might enjoy 20 meters x 8 meters, Indoors. If you should make contact with this Pool, e-mail address and phone number are both number. Warkidons Way off the B3180 , Woodbury , England , UNITED KINGDOM (Postal Code: EX5 1JJ). This sports center offers 20 meters x 7 meters, Indoors. Contact information for this Swimming Pool including phone number and e-mail address are number. Cowick Street , Exeter , England , UNITED KINGDOM (Postal Code: EX4 1AF). Among all the activities supplied by the center, in case you are thinking about swimming you will enjoy 25 meters, 6 lanes, Indoors. Just in case you want to get in touch with this Pool just before dropping by, we only know the phone number. Ham Lane , Sidmouth , England , UNITED KINGDOM (Postal Code: EX10 8XR). Swimmers like you reported 25 meters, 5 lanes, 0.9 meters - 2 meters depth, 0.9 meters - 2 meters depth, Indoors. Unfortunately we do not have the e-mail address of this Swimming Pool, but we can give you the phone number. Cliff Road , Salcombe , England , UNITED KINGDOM (Postal Code: TQ8 8JH). Among all of the activities offered by the center, when you are thinking about swimming you are going to take pleasure in 20 meters x 10 meters, Indoors. Just in case you would like to get in touch with this Pool before dropping by, we only know the phone number.